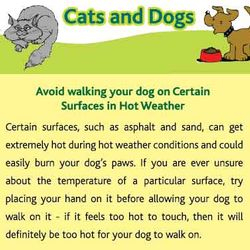 Have you ever noticed your dog or cat lying on a cool surface? They’re trying to cool themselves down. When you’re playing outside and your dog finds a shady spot, let him. Animals naturally gravitate to the shade when they’re hot. 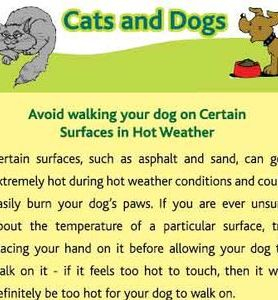 And remember, they don’t wear shoes – so imagine how hot the concrete or asphalt is when it’s been baking in the sun all afternoon. A walk in a shaded forest is a much better choice than a walk through the city. 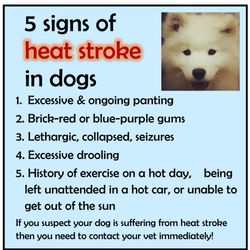 Try to avoid taking your pets outdoors during the hottest time of day. The scorching mid-afternoon sun can cause health issues very quickly. Try to plan your outdoor activities in the early morning or in the evening once the sun has gone down. 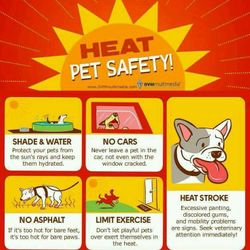 Pets can dehydrate quickly – especially on a hot day. 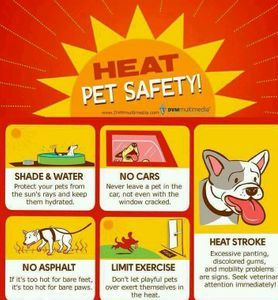 •Make sure they have plenty of fresh water available. 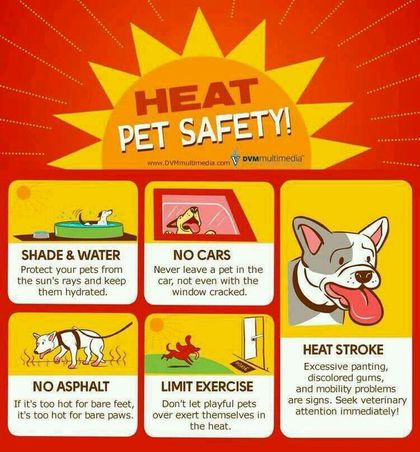 If you’re thirsty on a hot day, chances are your pets are too. •Ice cubes or frozen broth make a great hydrating treat for dogs. You wouldn’t go outside on a summer day wearing your winter parka! Imagine how your dog feels. Depending on the breed, some dogs benefit from a summer haircut. Even frequent brushing can help eliminate loose fur and prevent your pet from overheating. 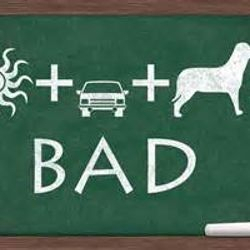 Animal health experts encourage all pet owners to be mindful of their pet’s health, especially in the summer. 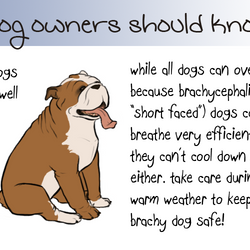 Some breeds with flat-shaped faces like pugs, bulldogs, and terriers can’t pant as well as other breeds. 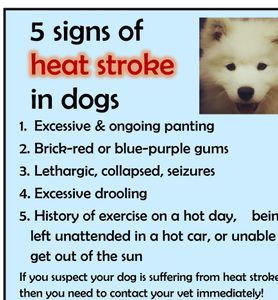 These dogs should be inside on extremely hot days. Pets that are overweight, elderly, or have other medical conditions should also be kept indoors.